This spicy red tomato chutney is totally an Indian dish. We know that tomato is very healthy. It is full of Vitamin C. Tomato is a powerful anti-oxidant too. It also helps in maintaining the blood pressure. We, in India, are very fond of chutneys. I’m sharing spicy red tomato chutney. We can have this spicy red tomato chutney with besan ka chilla, besan ki roti or even tehri. The daily vegetarian food is incomplete without chutneys. There are different types of chutneys like tamarind chutney which is sweet, sour and tangy in taste, fresh green coriander and mint chutney we call it green chutney also. Its taste is quite spicy, and other variations of chutneys are also there. Some are made of vegetables too. This Tomato chutney made with tomatoes and hot red chilli will give your tongue a tempting taste. This one is my Mom’s recipe and here I’m passing it to you all. I made slight changes to give it a variation. This tamatar ki chutney or tomato chutney is very easy to make with less ingredients. And takes less time to cook. Whenever I make an appetizer or a snack like fritters or veg rolls, I make sure to make this spicy tomato chutney. Add chopped onions and fry till they turn soft. 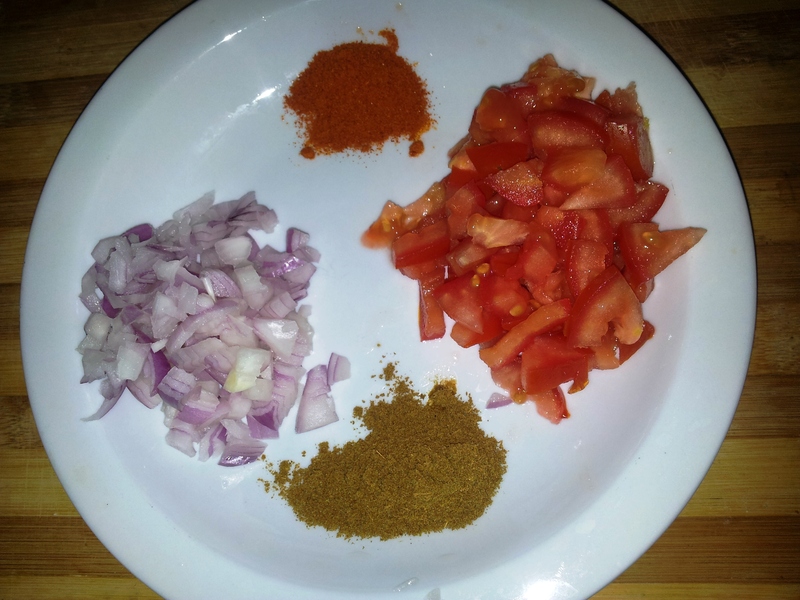 Add chopped tomatoes, salt and zeera powder. Saute fry till they turn soft and leave oil. Add red chilli powder, mix and turn off the flame. Serve with any of the dishes – Besan ki Roti, Besan ka Cheela, tehri or Veg rolls. In a wok or kadhai, heat oil. After heating oil add chopped onions and fry till they become soft. Cook on low flame. 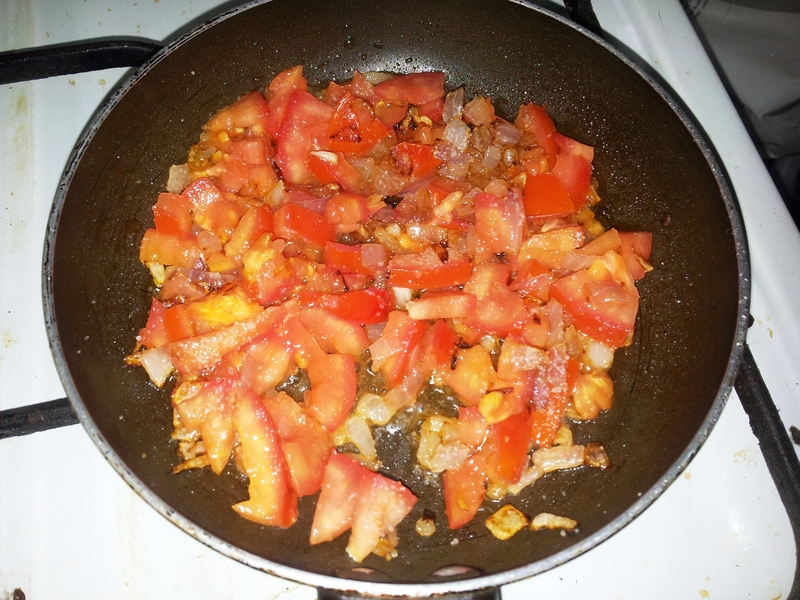 Now, add chopped tomatoes, zeera (cumin) powder and salt. Mix well. Saute till the tomatoes become tender. When the chutney mixture leaves oil, put off the flame and add red chilli powder. It depends how teekhi (hot) you want the chutney to be. Let the chutney cool down. If you want it to be more spicy, add more red chilli powder to the chutney. Your spicy tomato chutney is ready to be served. Have it with any starter, snacks or side dish and take a heavenly taste of this red, super hot tomato chutney. TIP: You can increase the quantity of chutney by increasing the ingredients. Very simple and easy to follow . I’ll give this a try . This looks delicious and so simple! Thank you for sharing, and I’ll be trying this one. Hey, I’m glad you liked the recipe. Let us know how you liked it. 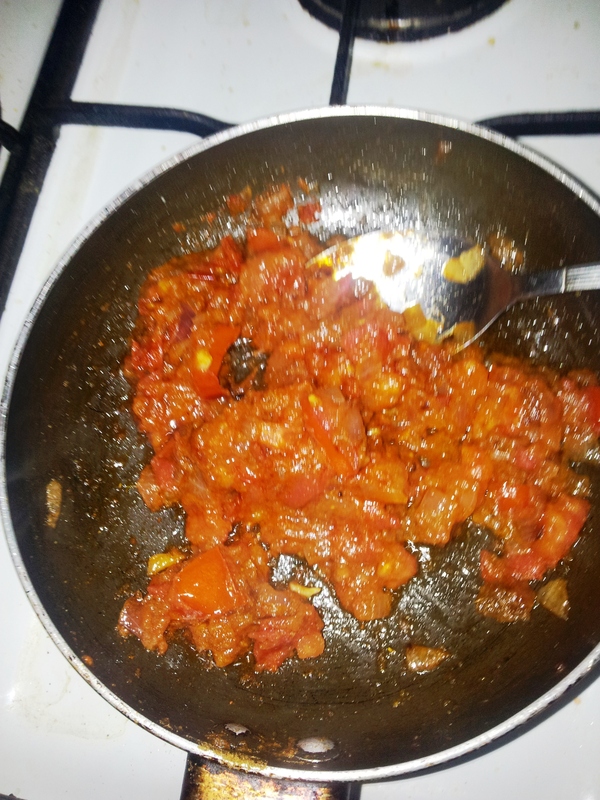 Please tag #foodeezjunction if you share pic of tomato chutney on social media.. Enjoy Cooking!